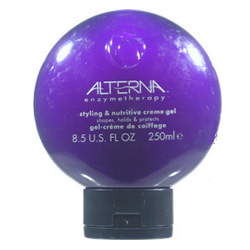 Formulated with a nutrient-activated enzymetherapy complex, Alterna’s Styling & Nutritive Crème Gel combines the styling hold of a conditioner. 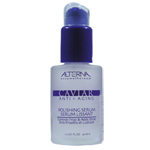 Milk thistle smoothes cuticle for increased shine. 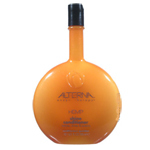 Defends hair with full – spectrum UVA/UVB protectant. 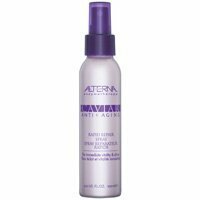 After using the recommended Alterna shampoo and conditioner, apply Alterna’s Styling & Nutritive Crème Gel to towel-dried hair. Style as desired.